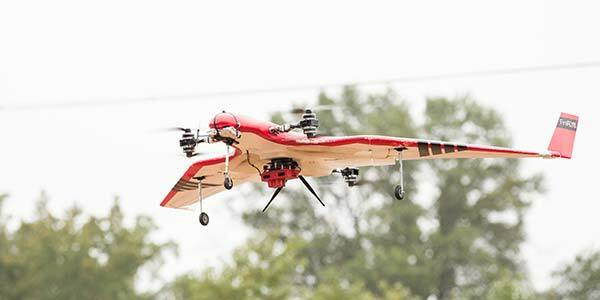 The University of Maryland has opened an outdoor flight laboratory designed to help researchers studying unmanned aircraft systems (UAS). With the new facility "we can conduct cohesive, comprehensive research and education programs in concept and development, testing and evaluation and life-cycle testing," said Norman M. Wereley, Department of Aerospace Engineering professor and chair, in a prepared statement. Dubbed the "Fearless Flight Facility" (F3), the netted laboratory aims to encourage research into control, sensing, autonomy, collaboration and means of countering UAS. Part of the university's A. James Clark School of Engineering, the lab is 100 feet wide, 300 feet long and 50 feet tall and sits in some of the most restricted airspace in the United States, as close as it is to the nation's capital. The netted laboratory allows researchers to operate drones in real-world weather conditions, but is considered indoors by the Federal Aviation Administration and thus not subject to such restrictions. "The University of Maryland continues to make incredible strides in autonomy and robotics. Facilities like this one provide the real-world testing conditions that enable innovative breakthroughs," said Clark School Dean and Farvardin Professor of Aerospace Engineering Darryll Pines in a prepared statement. "F3 allows us to pursue an aggressive UAS research agenda that would not be possible without the protection of a netted enclosure."